Bred by Don Egger. 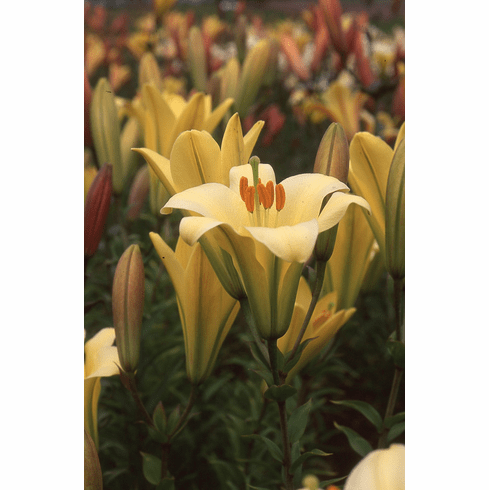 Introduced by B & D Lilies 2004. From 'Golden Splendor' and 'Moonlight' breeding with upfacing trumpet seedlings. Photo B & D Lilies.